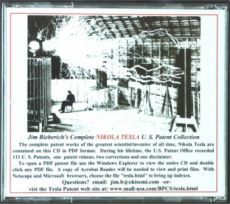 The Nikola Tesla patent lists on this site represent the result of meticulous research at a branch of the U.S. Patent and Trademark Office by Jim Bieberich, Patent Historian. 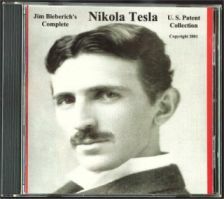 Bieberich's Tesla Patent Collection is considered a world standard of research accuracy . U.S. Patent Office records were searched for all patent types (utility, design, reissued) as well as for Trademarks. Contained herein is the complete U.S. listing of Nikola Tesla's patents arranged in chronological and alphabetical order. During Tesla's lifetime, the U.S. Patent Office recorded 111 utility patents, 1 reissued patent, 2 utility patent corrections and 1 utility patent disclaimer.